To get where you want to go, first you need to know where you are. You can’t manage what you don’t measure. And if you lack a clear understanding of your testing team’s capabilities and capacity, it’s easy for your software projects to get blown off course. Without a course correction, the 3 Perils of Software Development—Defects, Delays, and Dollars—will regularly sink your initiatives and drive up costs. 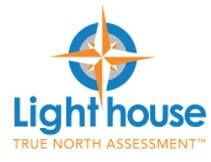 The Lighthouse True North Testing AssessmentTM is your guiding light. It provides a solid benchmark of your current testing department compared to industry standard best practices. Our expert personnel identify what you are doing well, where there are gaps, offer recommendations, and determine next steps. Furthermore, we also identify the expected results you will experience after implementing our recommendations. We provide this no-risk assessment because we are confident that we can save you countless man-hours and tens or hundreds of thousands of dollars. That’s why we offer a 100% money back guarantee if you are not completely satisfied. Take your first step toward True North. Contact us to schedule your 100% risk-free True North Testing Assessment™ today!